With the social media being flooded with videos and photos almost every second, a good video editing software is fast becoming the need of the day. But, many of us are not too keen on buying a costly software for fulfilling our social obligations. 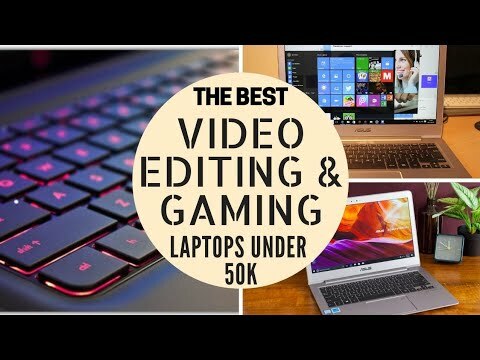 This is a comprehensive list of free softwares that give you a professional like video quality. You don’t need to be an expert to use them. Some of these are pretty simple, and also come with a tutorial, whereas, others can be mastered over a few sessions. HitFilm is one of the best free video editors, which includes an array of features. It has got a Timeline Editor that helps in editing video professionally. The interface is professional like yet clean and quite easy to understand. There is also a provision for tutorial. It has a comprehensive Media area where all media files are displayed. There is a wide variety of affects available in this video editing tool like Distort, Light & flares, Grunge, quick 3D, Blur, etc. Here you get to add special effects to your creations. It includes 2D and 3D compositing (combing two or more videos to make a single video) capabilities along with automatic motion-tracking and green screen removal tools. Hitfilm 4 Express also has the ability to create virtual lighting, based upon the actual lighting in a shot. Its smart technology allows motion-blur and imparts depth to field effects during post production. Blender is a powerful open source software suite primarily used for the creation of 3D modeling and animation. But, it also has a built-in full-fledged video editor. It has been used by many TV Channels to create animations. NASA also employs it to make demonstration videos.Clips can be placed on a timeline, edited, overlapped with others and amalgamated with a plethora of transitions or fading effects. It also offers advanced features like 2D and 3D motion tracking, compositing of animated objects and real footage along with some nice camera correction tools that can deal with lens calibration and image stabilization. Lightworks is a professional non-linear editing system (NLE) for editing and mastering digital video in various formats, including 2K and 4K resolutions, and television in PAL, NTSC, and high-definition formats. It is a powerful free video editor that equips even amateurs with the capability to make excellent professional like videos. The beauty of this software lies in the fact that despite being powerful, it requires modest PC specifications for running. It carries out advanced editing very smoothly. Lightworks is more than a simple tool for cutting clips. The pro version has been used to create big movies like The King’s Speech. Hugo, The Departed, Mission Impossible, Pulp Fiction, Braveheart, Batman and The Wolf of Wall Street. Its interface is a little different from other video editing softwares, but once you get used to it you can customize it according to your choice. Its features include real time effects, advanced multicam editing, second monitor output, ability to import a wide range of file types, export to Vimeo (H.264/MEPG-4) up to 1080p HD and export to YouTube (H.264/MEPG-4) up to 1080p HD. This is another great free open source, cross-platform video editor which lets you make pro-like videos. It supports a plethora of audio and video formats, image formats as well as image sequences. It does not require any import as it has native editing. It can seek accurate frames for many formats and can multi-format timeline. Here, you need to load a video and choose the editing mode you would like to work on, along with choosing the tools you'd like to use. It supports unlimited undo and redo for playlist edits, including a history view. It has a speed control feature for an audio/video clip. Its features include chroma keying, 3-way color wheels for color correction and grading and an eye dropper tool to pick neutral color for white balancing among others. It supports 4k resolution.For the new video-editors, it is possible to achieve some impressive results just by simply applying one of its many filters to your video. VideoPad is an easy to use software that brings advanced features to beginners. VideoPad has a voice-over feature, which allows users to either record their own narration or upload existing recordings. Here, you can even work on video footage from an attached camcorder. This software gives you access to a plethora of video and audio editing tools that would help you in making a premium video. VSDC is a non-linear video editor with lots of tools that allow you the liberty to apply umpteen effects and filters to enhance your videos. It has an odd looking interface but once you get used to it you can make professional looking videos with it. Here you can edit videos manually or through its wizard option. VSDC has the capability to render excellent results. As it is a non-linear editor, it allows you the liberty to edit the clips and other elements anywhere on the timeline wherever you like. With this video editing software you can not only work with multiple scenes and transitions, but also add sprites and text to videos. Avidemux is a basic software which is good for small editing tasks and enhancing video clips. 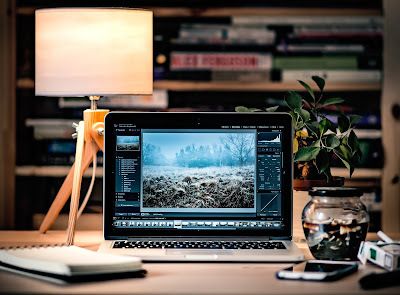 It has all essential tools for basic video-editing such as format conversion, footage trimming, appending one clip to another and applying filters and effects.The application also has the option of tutorial. If you are new to video editing, this would help you in understanding the basics. 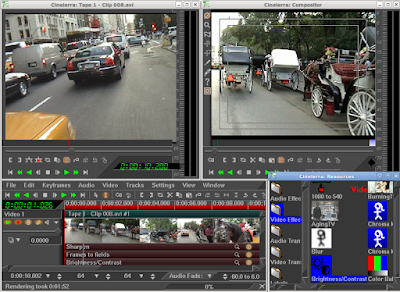 Avidemux is also expandable via plugins that add features like subtitles and watermarks. DaVinci Resolve has a familiar, user friendly interface that has almost every imaginable editing and trimming tool. You can trim and finish projects started in professional editing softwares like Final Cut Pro X or you can start editing a video from scratch in its timeline. Whether you like to use the mouse for drag and drop editing or prefer the precision of editing on the keyboard, DaVinci is easy to learn and features all of the timeline tools that professional editors need to work eith, creatively and fast. Its forte comprises colour correction, but it also performs general editing functions. It's widely used for colour correction in Hollywood movies. You can edit audio or sync audio and video recording in a manual or automatic mode. It also has text capabilities, such as rolling credits, lower thirds and so on. You can import graphics, too. The free version of DaVinci Resolve has a few restrictions. All editing functions for 3D videos have been deactivated along with motion-blur effects and image noise reduction. Though, it requires time to adapt to it, after you master it, the results are just awesome. DaVinci Resolve supports almost all RAW camera files, from ARRI Alexa to GoPro, Nikon, Canon and Sony. It requires a high-performance PC with a recent Nvidia or AMD graphics card to run smoothly. Window Movie Maker is Microsoft’s answer to Apple’s iMovie on the Mac and iPad. It is a basic software meant for beginners for creating entertaining videos to share on the web and with their friends and family. 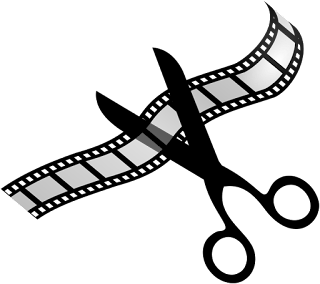 Movie Maker can publish movies directly to YouTube, Facebook and other places. It is a low tech, easy-to-use, fun tool for creating short videos. You certainly have some extraordinary understanding and incredible stories. I make a decent attempt to keep up the first creator's voice inevitably. Extraordinary post, and awesome site. Much obliged for the data! wow thats an amazing article admin... thanks for sharing it..
You can also free download software virus free in getintopc website.